This Universal Shockmount features a four-point suspension to accommodate shotgun and other cylindrical microphones measuring 0.74-0.98" (19-25mm) in diameter. 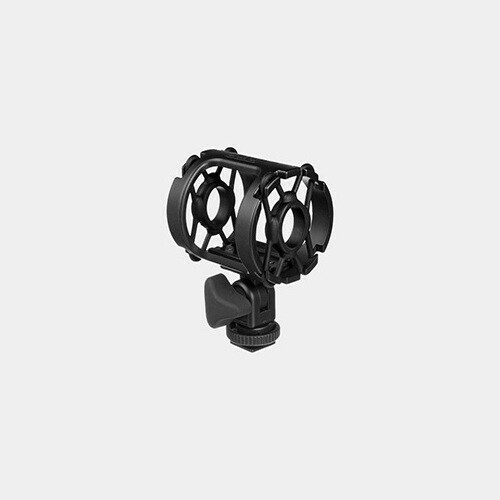 The shockmount is easily angled with its rubberized adjustment knob. There is a built-in shoe for camera mounting, and a 3/8"-16 thread connection at the base mounts the shockmount to boompoles and universal hand-grips.